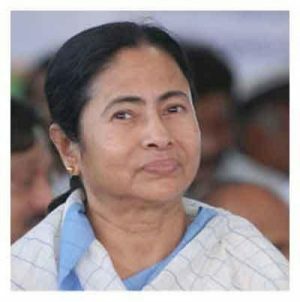 Kolkata: Keeping in mind reservations of some quarters over a bill to regulate functioning of private hospitals, Chief Minister Mamata Banerjee explained that her government never wanted them to shut down, but reminded them that they were not profit-making ventures. “We never said private hospitals and nursing homes should shut down here. We never wanted treatment there to stop. But we must not forget about people. We must guard against turning medical facilities into profit-making organisations. Medical facilities are places to provide seva not make money,” Banerjee said. “If one dreams of making profit by pushing injections like one selling Chinese food, then one is wrong,” she said. Urging private hospitals not to charge patients exorbitantly, Banerjee explained that she was not against those who were able to pay hefty amounts for their treatment. “Take from them who are capable of paying such bills if the treatment is genuine. We have never said anything. But remember dont go for over billing and negligence in treating them,” she said. She was apparently referring to the death of Sanjay Roy allegedly because of medical negligence and delay in his release at the Apollo Gleneagles hospital in the city. “One has to submit property papers, fixed deposit documents… because he was getting treatment will not happen in West Bengal,” she warned. Referring to the West Bengal Clinical Establishments (Registration, Regulation and Transparency) Bill, now waiting to turn into a law, Banerjee at the same time urged people not to damage hospital property but instead lodge complaints. “We have brought a bill. If someone has done something wrong then he or she must be punished,” Banerjee said. Why should clothes shops run for profit? Or Hotels? Eating and Clothing also essential for life. Using Stent analogy, when a shirt is available for Rs 250, why should Van Heusen charge 2500? Just feel the condition in west bengal. A profession in danger. Just read the comment …We never said private hospitals and nursing homes should shut down here. We never wanted treatment there to stop. But we must not forget about people. We must guard against turning medical facilities into profit-making organisations. Medical facilities are places to provide seva not make money,” Banerjee said. Moronic comment from a stupid morally bankrupt person! Didi what about politics ? ?it\’s seba or business ? Please also regulate prices of food, clothings and flats. These are also essential for survival and also should be available at reduced costs. Also transport diesel, petrol oil are essemtial to sustain life and should be available at reduced costs.